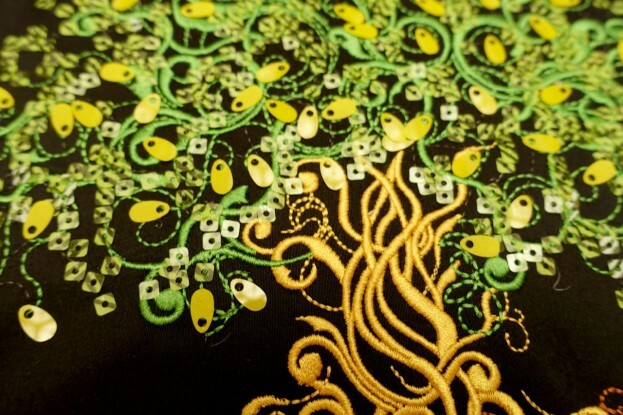 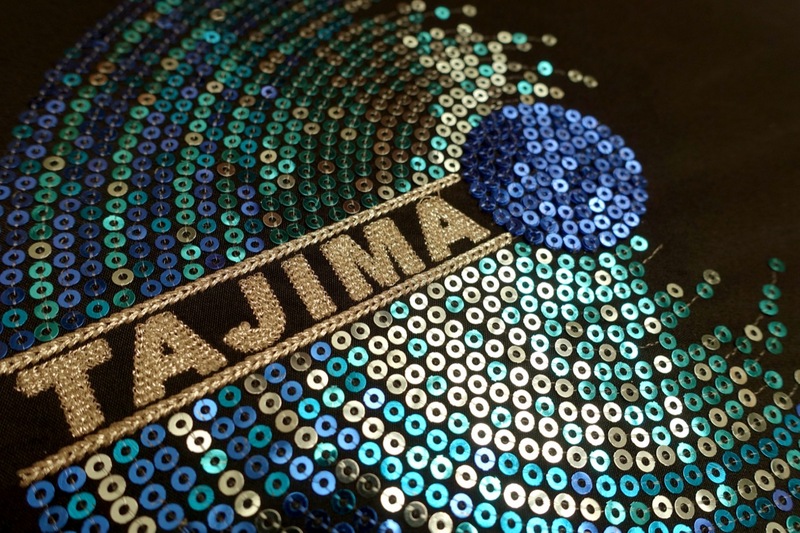 “In 1964, the TAJIMA group developed a multi-head embroidery machine. Since then, we have made expensive manually produced embroidery accessible and familiar to the peoples of the world, and added beauty to their lives. 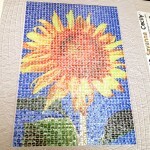 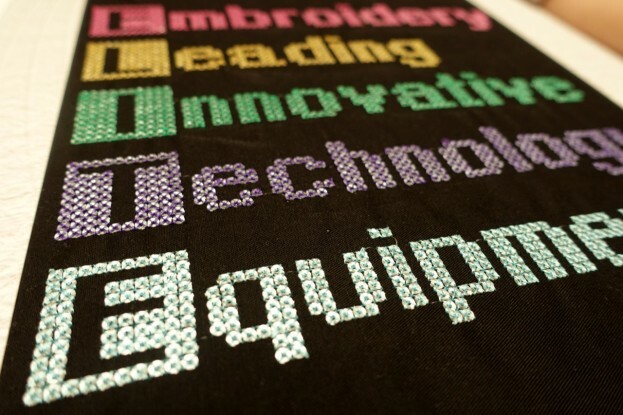 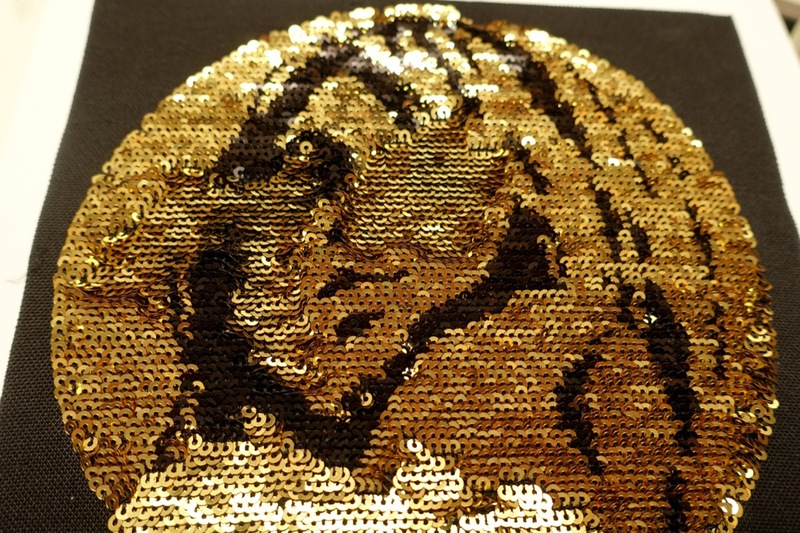 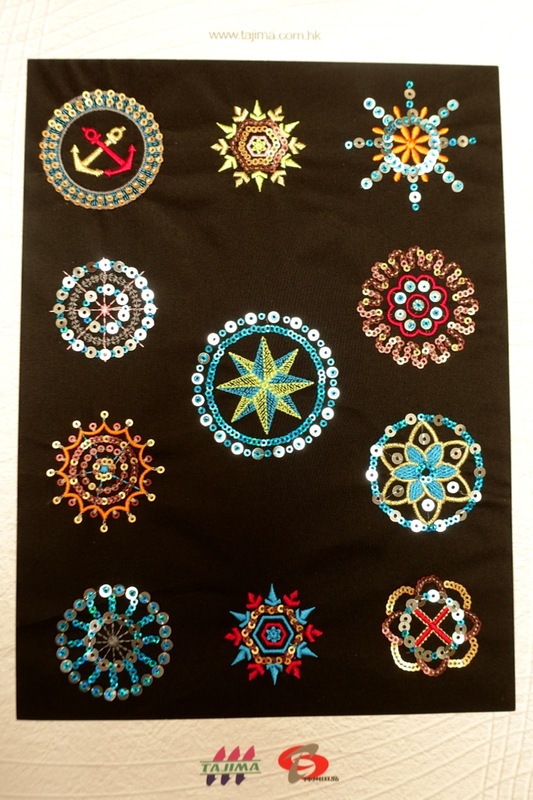 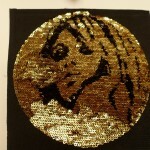 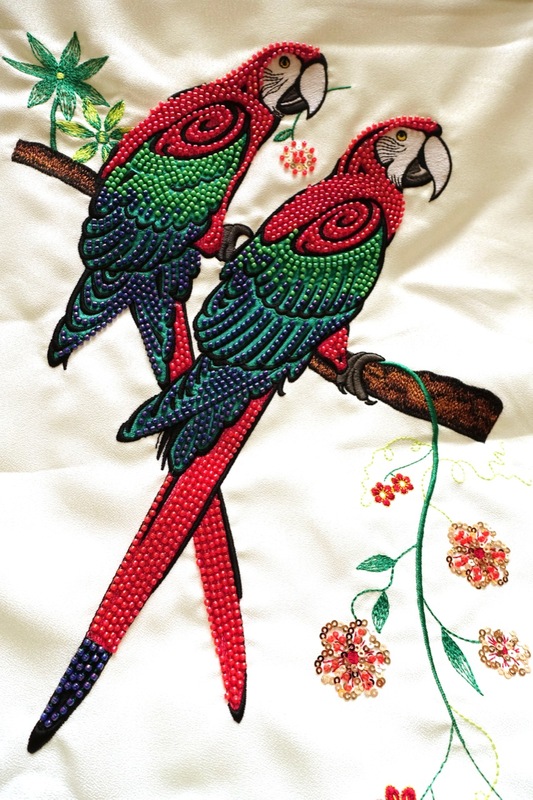 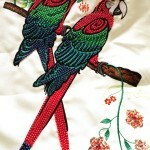 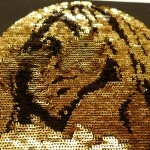 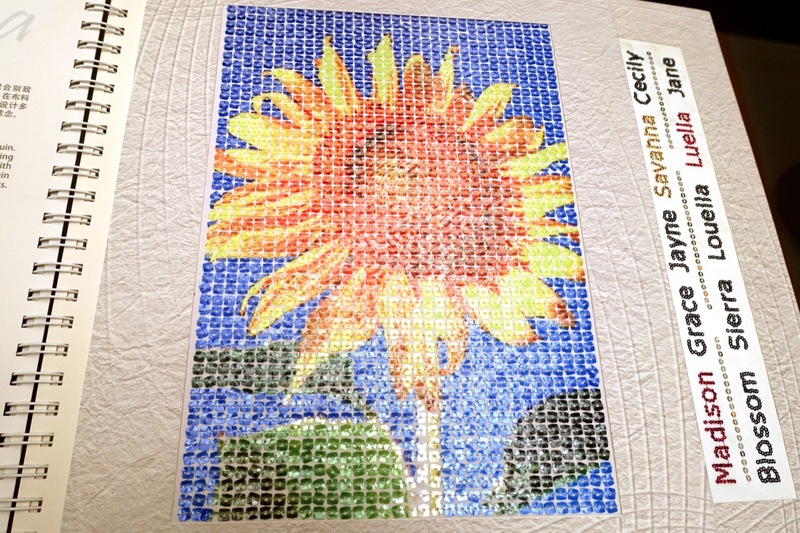 Sequin embroidery with different color threads in cross stitch fashion. 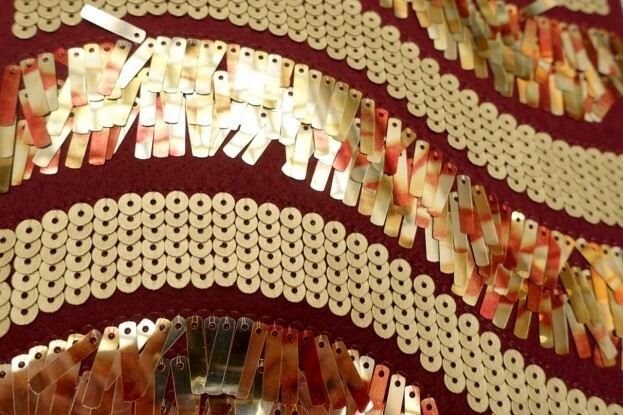 One-string mounting of the sequin, so the sequins can be flipped and change their surface direction when stroked upon. 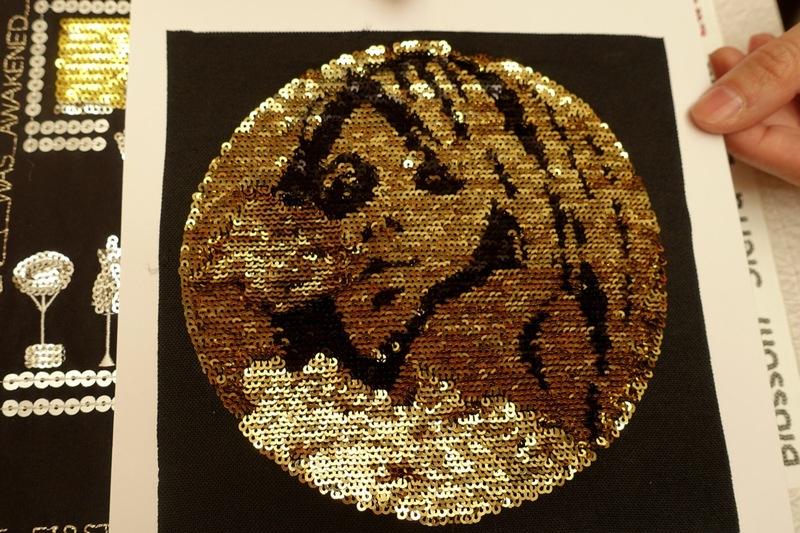 In this particular sample the black sequins have a golden color bottom side, that makes the image disappear when the sequin is flipped. 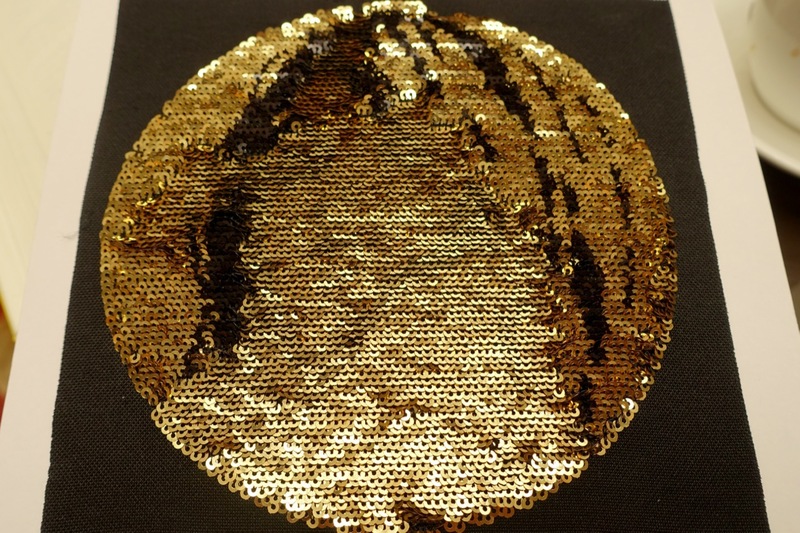 Mounting of odd-material (leather) and odd-shaped (rectangular) sequins. 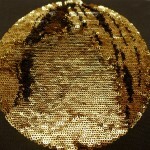 Combination of sequins of different sizes and forms within a single design. 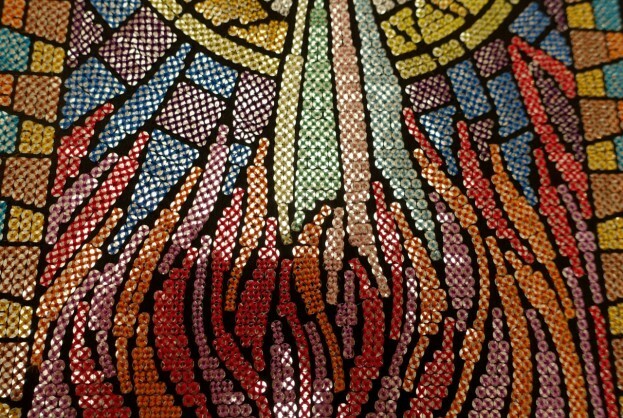 Making time for the whole design (not entirely visible here): 48 min. 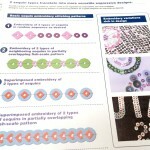 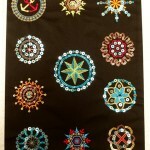 Good quality sequins feature a well centered hole and roll.